...from the customer's request to the personalised product ! ...from raw materials to the final product ! 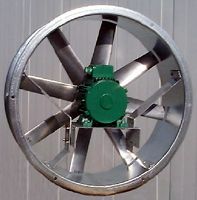 Your project incorporates a fan. In spite of many documents at hand, you are not finding the appropriate machine in the catalogues. the air is associated with a number of abrasive metal oxide particles. no special steel, even no stainless steel, would resist corrosion in your process. your 850°C furnace needs gas circulation to equalise its temperature. your circuitry requires gas tightness as an inert atmosphere is a necessity. 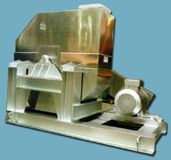 De Raedt's Special Process line can help you out. A careful analysis of your specifications will generate a suitable approach to solve the problem, in line with the most severe Quality Insurance criteria. 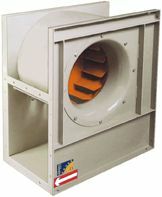 Your installation does not need a Special Process fan, we can then help you thanks to our Modular. 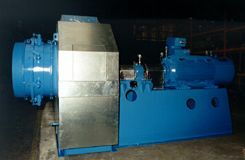 Indeed, the new range Modular Fans is a quality equipment, which was developed following new methodology and stringent standards to offer a high quality equipment with similar performances to the Special Process range. This new approach guarantees you a high quality product at a very attractive price within a short time limit. 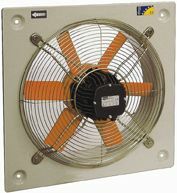 This series of fans is composed of 3 ranges with different aeraulical characteristics. Together these 3 ranges have total pressures going to 1400 daPa and 100 m³/s flow for a maximal temperature of fluid of 350°C. 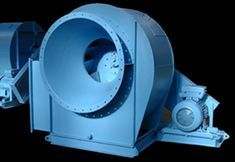 Moreover these fans are thought out to transport air with a maximum dust content of 150 mg/m³ and can be delivered with a whole range of options. To solve the problems of his customers, De Raedt works with the company airEpur for the Benelux, which is very active in odour treatment and gas cleaning installations. 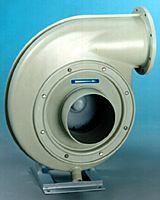 Thanks to its long experience, the company airEpur proposes mainly wet scrubber solutions. 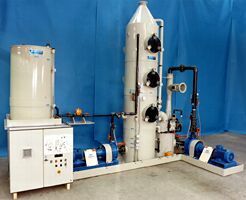 That is to say a chemical-physical process, which consists in neutralising harmful substances or odours by means of chemical reagent dissolved in water. 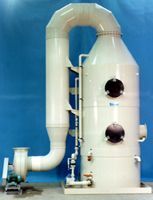 The range consists of vertical and horizontal wet scrubbers, venturi-scrubbers, quench-scrubbers and demisters. If you need further information about our partner airEpur, you will find it on its site.